I need to tell you guys about this great little spot in Covent Garden, nestled away on the lower floor of the main piazza, is a blow dry bar called Blo. 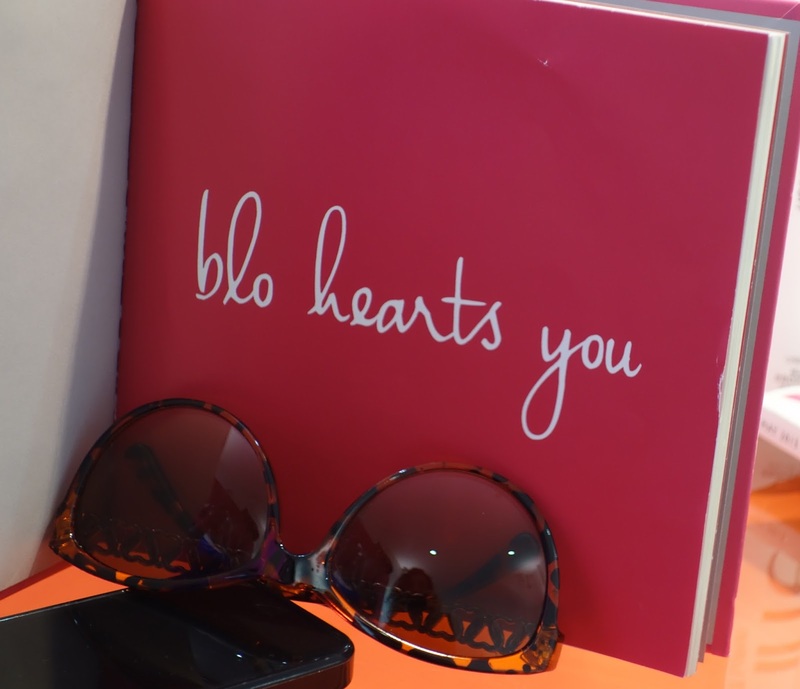 A concept that has travelled oversees from the US and Canada, Blo Covent Garden is the first of its kind in the UK and it's just marking its six month anniversary. So, after we got chatting via Twitter (follow them @curlmelondon) I was so up for it when Irina invited me along to get a blow dry myself. Getting my hair done on a regular basis is definitely something that I put on my resolutions list this year, and so far, so good. I've honoured it with a good cut and colour but it felt so nice to go in and get a Blo dry, just for the sake of treating myself and for a bit of pampering. Walking in, the staff were totally friendly, all smiles and helpful and I was promptly sat down with some mags and allowed to get my camera out for some snaps. I was then introduced to Daniella who was my hair stylist and Irina came over to say hi too. I'd already consulted the Blo hair menu before I went, and hadn't changed my mind that I wanted the fishtail braid. 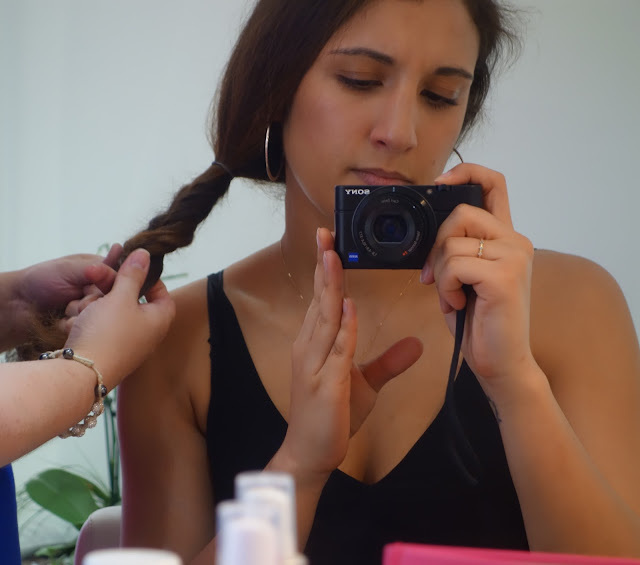 There was lots of choice, but to be honest I haven't worn my hair in a plait for years and I just wanted to have something workable and wearable for a rather chilled afternoon in town. So Daniella set about, straightening my hair firstly and then plaited it, telling me the trick of how to try and recreate the look, but to be honest I think with my clumsy fingers I'm best off leaving it to the professionals. We had a good old natter as you do and she was telling me about some of their products they have in store, apparently they don't contain chemicals so they aren't harsh on the hair and there is every conceivable one you could need. 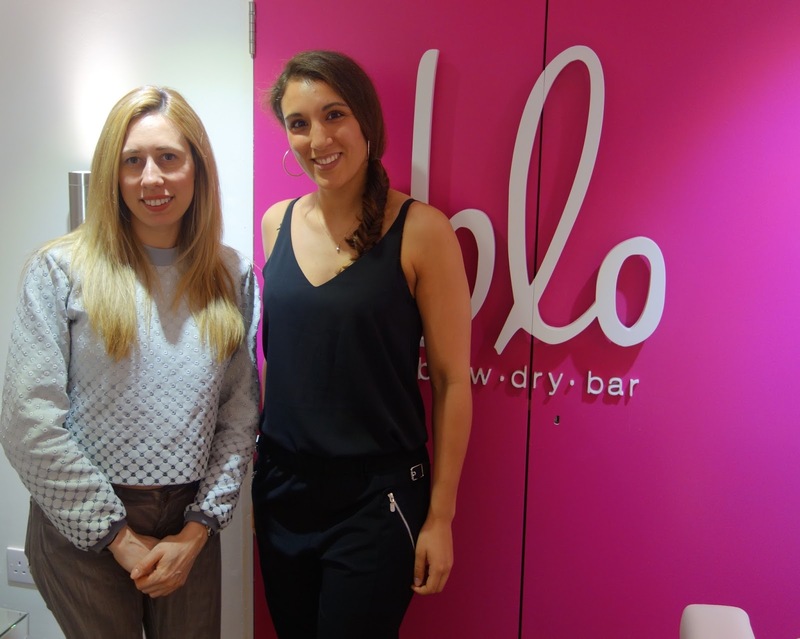 I then got chatting to Irina and she told me how Blo is actually backed by Gwyneth Paltrow and how she is a brand ambassador, which is pretty cool considering Gwen is a lady who never has a hair out of place. So, the verdict, my hair is still in tact 10 hours later and for the first time in a long time, I've really enjoyed wearing my hair up and in a plait, so it's definitely something I'd have again. 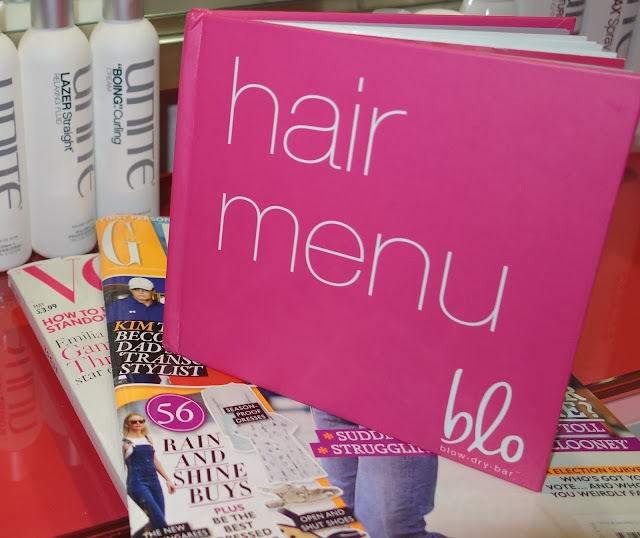 As for visiting Blo again, this would be the perfect place to head to before a night out. Whether its a trip after work before a date, or with friends on a weekend afternoon, the relaxed and buzzy atmosphere was fun to be a part of and a great addition to any girls get ready routine. Maybe I'll try the Holly Would Curl next time, who knows.